Arthritis pains and other pains caused from inflammation can be difficult to manage and often the treatments are not very helpful or may cause side effects that are even worse. In years past, people managed with natural remedies, including plant extracts an essential oils, dietary changes, and massage and water therapies. 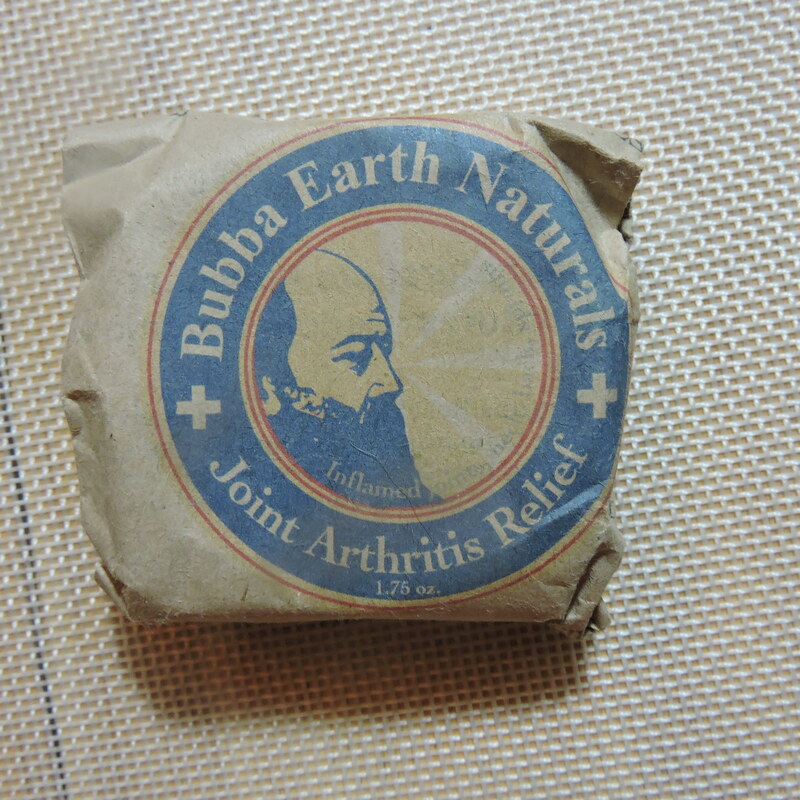 Arthritis Joint Pain Relief Cream by Bubba Earth Naturals takes us back to natural sources and touts very good results. I like that it is all natural – the ingredient list is impressive: Organic Comfrey, Arnica, Extra Virgin Olive Oil, Stinging Nettle, Aloe Forex, Virgin Sunflower Oil, Shea Butter, Unprocessed Beeswax, Willow Bark, Soybean Oil, Hemp Oil. Avocado Oil, Jojoba Oil, Cocoa Butter, Camphor, Eucalyptus, Spearmint, Red Clove, Lavender, Rosemary, Vitamin C & E.
I’m familiar with most of these ingredients and researched the remainder with regards to treating inflammatory issues and the blend shows great promise! Research has proven the value of several of these ingredients and I am thankful that Bubba Earth has found a way to combine them into a cream. Further, all are sourced from “fair trade.” Bubba Earth Naturals ensures customer satisfaction with a 100% money back guarantee. The cream is packaged in a tub that looks a lot like those I have seen at my Grandma’s many years ago. But the package is only part of the intrigue. The cream smells much like I remember her cream and while it won’t remove the arthritis, it does help reduce or eliminate the pain. For those with more temporary inflammation caused pains, it might actually eliminate it altogether, though I would also add an anti-inflammatory diet to prevent re-occurrence. My only negative, if it truly is such, is that I wish it were available in a larger container for those of us that might want to use it long term or for households with more than one person using it. I highly recommend this product for any type of inflammation pain, including arthritis. It does work! Please note that the Bubba Earth Naturals has a warning on the product regarding possible medication interactions. You might need to check with your doctor for any safety concerns. You may purchase these using the following affiliate link.